If you're heading to the airport to catch your flight, chances are you will choose to travel by car. However if your car breaks down or you get caught up in traffic jams, there's a great chance of missing your flight altogether - with new flights to arrange and potentially having to stay overnight in a hotel, this can end up being very costly, especially if you are travelling as a couple or family. To avoid the hustle and bustle of the road, why not try getting to the airport instead by rail. Trains are a fast and convenient way to travel - Simply hop on at the station and hop off at the airport, it couldn't be easier! You enjoy the benefit of unrestricted travel times as the tickets are valid for one month. Should your outbound flight time be changed or the inbound flight be delayed, you will still be able to use your ticket! Purchase last minute up to 5 days before the start of your trip! 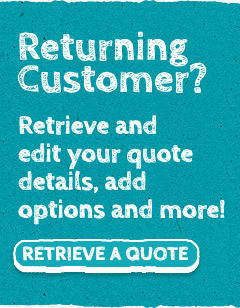 Please 'Get a Quote' to see our unbeatable prices and purchase your Airports by Rail ticket today!